I let this light explode. Find the exit sign and disappear. Find the exit sign and disappear! 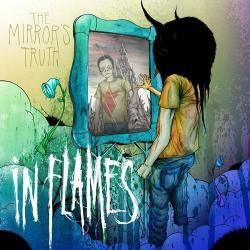 THE MIRROR'S TRUTH es una canción de In Flames del año 2008. La letra ha sido escrita por Anders Friden, Bjorn Gelotte, Jesper Stromblad; publicada por Kobalt Music Publishing Ltd., BMG Rights Management.